Other dogs simply go missing. In the latest batch of Florida records, multiple kennel operators failed to keep track of their dogs, could not name them and had no proof of vaccination. 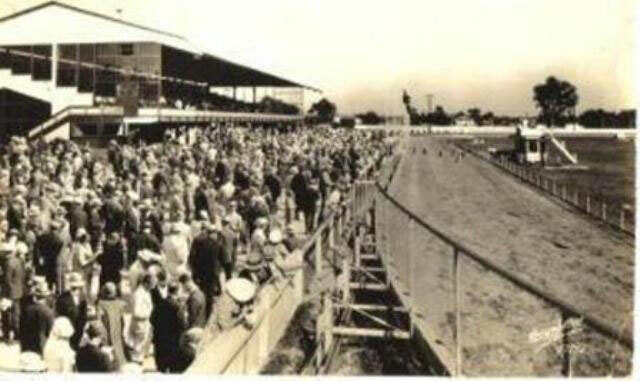 This is because greyhounds are not dogs to them, just racing machines. We must keep working to shut down this cruel industry. You can help by making a campaign donation today. Give $50 or more and receive one of our new “Let’s make dog racing history” wristbands. And if you can give a gift of $75 or more, we will include one of our limited edition Year of the Dog mugs. Give $125 and receive two of each! 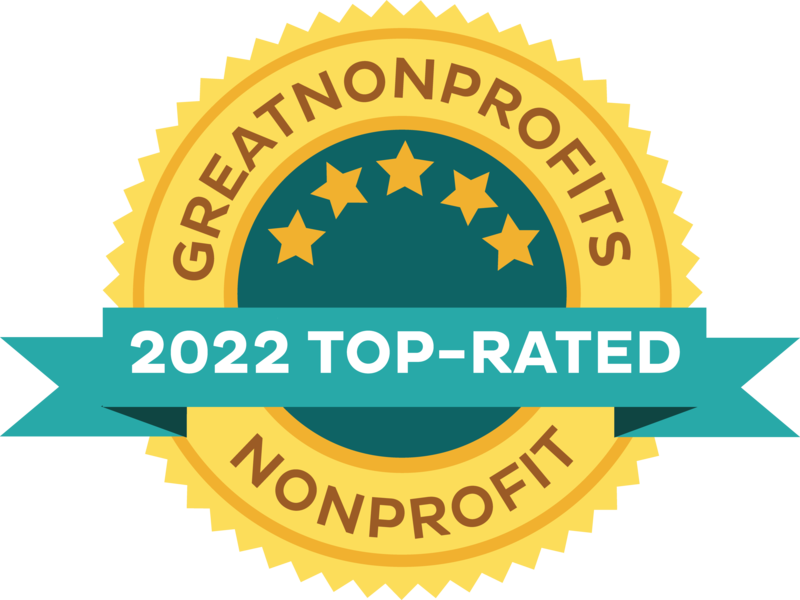 GREY2K USA Worldwide is a non-profit 501(c)4 advocacy organization located at 7 Central Street, Arlington, Massachusetts 02476. 100% of donations support our mission to end dog racing, pass greyhound protection laws and promote greyhound adoption. We are grateful for personal and corporate contributions. Because GREY2K USA lobbies for greyhound legislation, contributions are not tax deductible. Give $50 or more and receive one of our new “Let’s make dog racing history”wristbands . 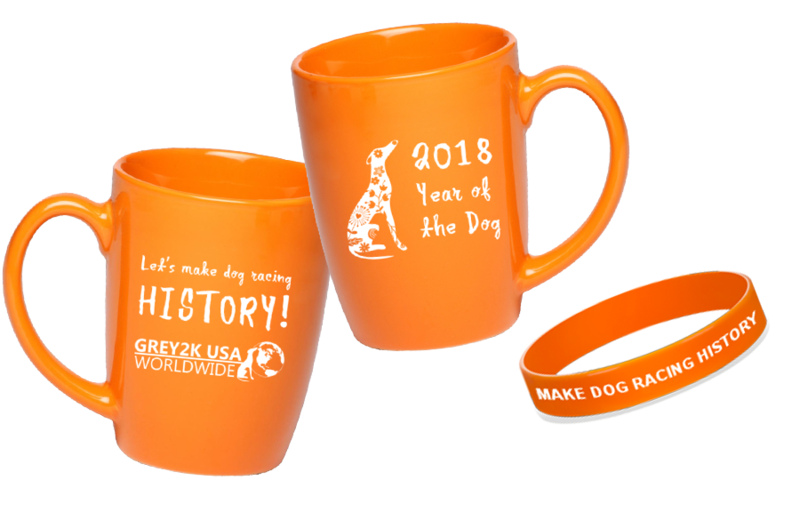 And if you can give a gift of $75 or more, we will include one of our limited edition Year of the Dog mugs. Give $125 and receive two of each!